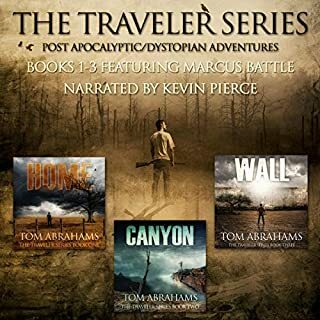 All three audiobooks under one cover! The Death will find you. It took just a few weeks for a plague called the Death to wipe out over 90% of the world’s population. Those who survived thought themselves lucky until the world that remained came into stark relief. 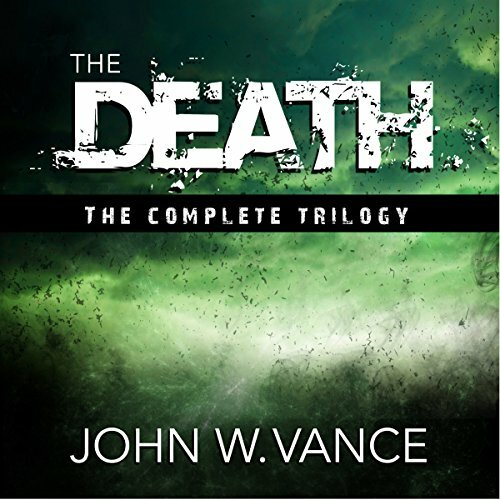 Devin Chase, a writer by trade and urban dweller sits in his apartment in New York unaware that his fiancé is the first victim of a worldwide pandemic called the Death. Upon learning of his fiancé’s condition he sets out to find her. Unprepared and unsuccessful he barely survives the initial days and takes refuge in a secluded barn. After six months he emerges from his self-imposed quarantine to find that over 90% of the world's population is dead. With no knowledge or skills he must learn and adapt as he goes. As he travels, he discovers others like him who are immune but he must also confront that the world he knew is gone. It has been replaced with a savage and brutal one where the only rule is "kill or be killed." A thousand miles away, Lori Roberts, a mother of two, wife, and successful businesswoman must tackle the harsh realities the Death has imposed. Within weeks of the outbreak, her family is quarantined at a FEMA camp. 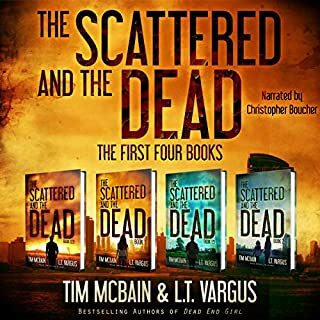 At first they believe the camp is their sanctuary, but soon discover something entirely different and sinister is happening to the survivors. Two people, two survivors but one ultimate outcome. 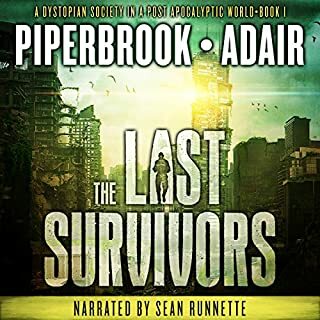 They survived the Death but will they survive what the world has become? The story started off a little slow. But once it got going mid way through the 1st book I could not listening. The The narration was fair neither poor or good just average. However the story is excellent the author does a good job of throwing in a fair amount of twist and turns in the storyline keeping you engaged and anxiously waiting to see what happens in the next chapter. The characters are well developed and will have you cheering for so in hating the others. 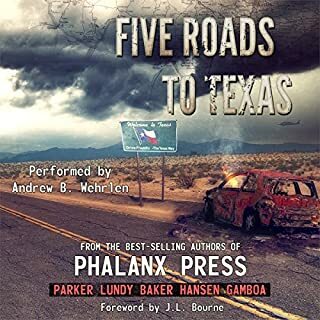 Over all I was not expecting much from this audiobook but I was pleasantly surprised by such a go read/listen. Getting all 3 books for the price of one was a pleasant surprise. Excellent value for the money highly recommended. WOW!! Great story , very original, moved quickly, very descriptive but not over done. Surprised by the opening with comment by my favorite G Michael Hopf. Only negative from me would be that it needs to be redone with different narration. Hey John, can you send me an autographed hard cover? THANKS!!! the story was pretty good however there was No Way the first "book" could even come close to being considered a complete book. had I bought the single book, i would not have purchased the rest. story picked up after book one. the narrator's voice was to high pitched for a serious novel. better for young adult story. 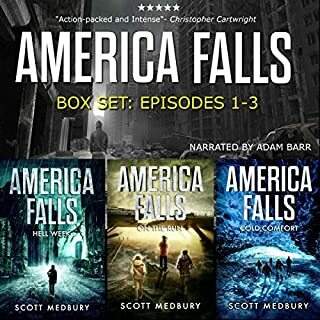 This set was a great deal for one audible credit. Hours and hours of entertainment. A certain amount of reality must be held back to follow along but it was fun. Great book! Not the usual happy ending. Amazing story and characters. It's somewhat dark but it really refects how I imagine humanity would react when facing the end of Human existence.